Dr Edward Greenrod grew up in Adelaide and graduated from the University of Adelaide Medical School. He completed Ophthalmic training at the Royal Victorian Eye and Ear Hospital in Melbourne followed by additional sub-specialty fellowships overseas at Moorfields Eye Hospital, (London), Addenbrookes Hospital (Cambridge), Quinze-Vingts (Paris) and Crete. He has particular expertise in management of conditions of the anterior segment of the eye including cataract surgery, corneal surgery, anterior segment reconstruction, glaucoma surgery and refractive surgery. 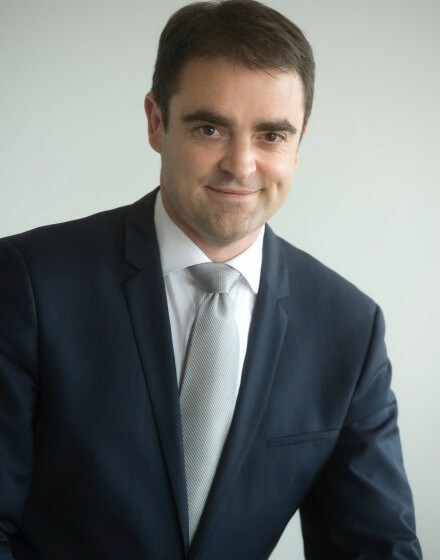 Since returning to Australia in 2013, he has been the visiting director of the corneal service at the Alfred Hospital and a visiting specialist to the corneal unit at the Royal Victorian Eye and Ear Hospital. He remains active in training the next generation of Ophthalmologists, and enjoys providing supervision and career mentorship to trainees as part of the Royal Australian and New Zealand College of Ophthalmolgists (RANZCO) training program. In his free time, he enjoys playing tennis and swimming. He is married to Dr Dania Qatarneh and together, they consult from their new clinic, Adelaide Eye Surgeons, 232 Magill Rd, Beulah Park SA. The clinic opened in April 2017 with the aim of providing a new centre for excellence in cataract, corneal and retinal care in the Eastern suburbs.